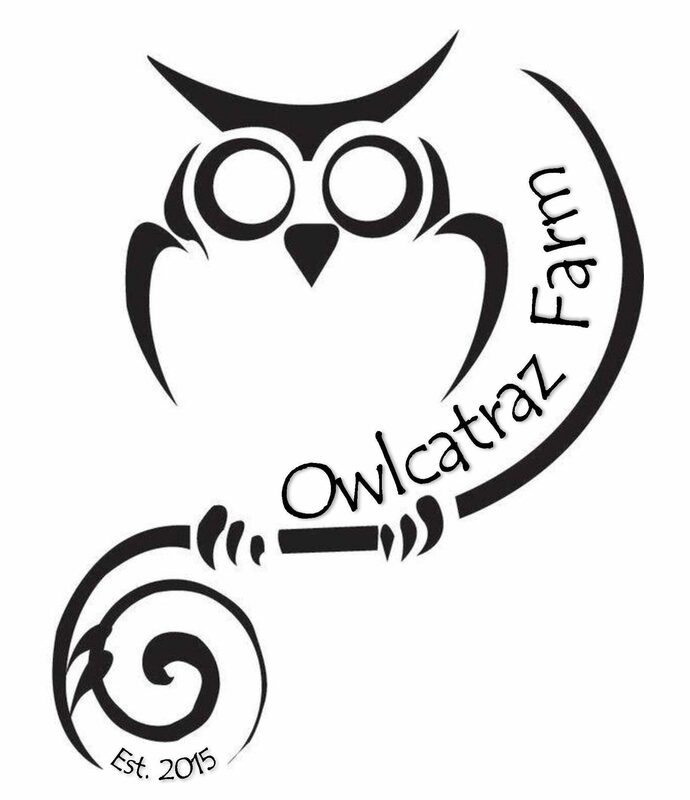 During the planning and early construction stages of Owlcatraz, a wise man decided to start building the ultimate goat castle. (Wise man being “Papa”.) Upon careful deliberation and research, he found a picture of a dog house with a rooftop terrace and this inspired the creation of the “goat castle”. The structure was primarily made off site, then transported and assembled inside the goat pen. Approximately 6 x 4 feet, the interior is almost 4 feet tall (constructed of pressure treated pine). 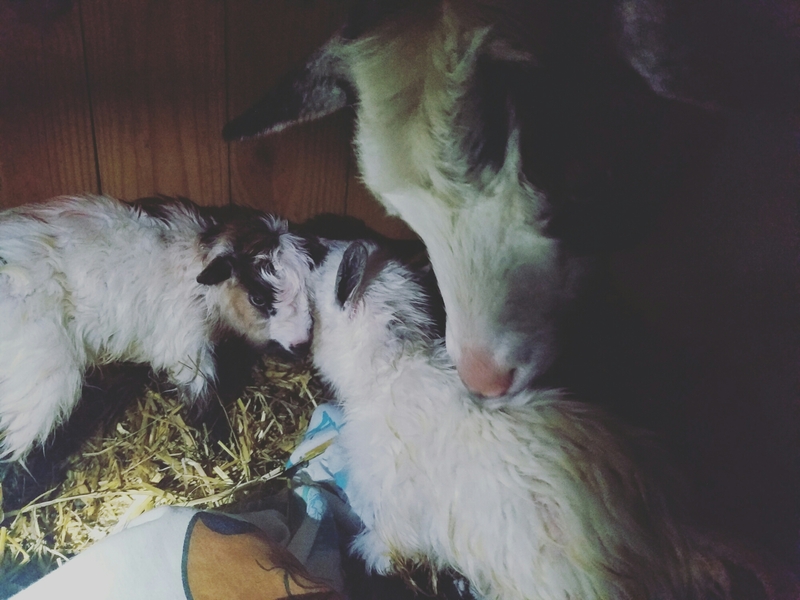 The interior has plenty of room for both Nina, Nubs (pygmy goats), and company should the herd expand. A ramp leading to the roof top terrace had branches added for traction and the herd has been easily able to maneuver up and down in all types of weather. Now Nubs often opts for the leap off the top, but Nina is a bit more graceful in her approach. Discussing politics over their hay. The roof top is covered with a GAF mineral guard material. Not only does this protect the residents from moisture inside, but the rough surface helps keep hooves healthy. The post caps add the finishing touch of elegance! Thanks Papa for your construction work! 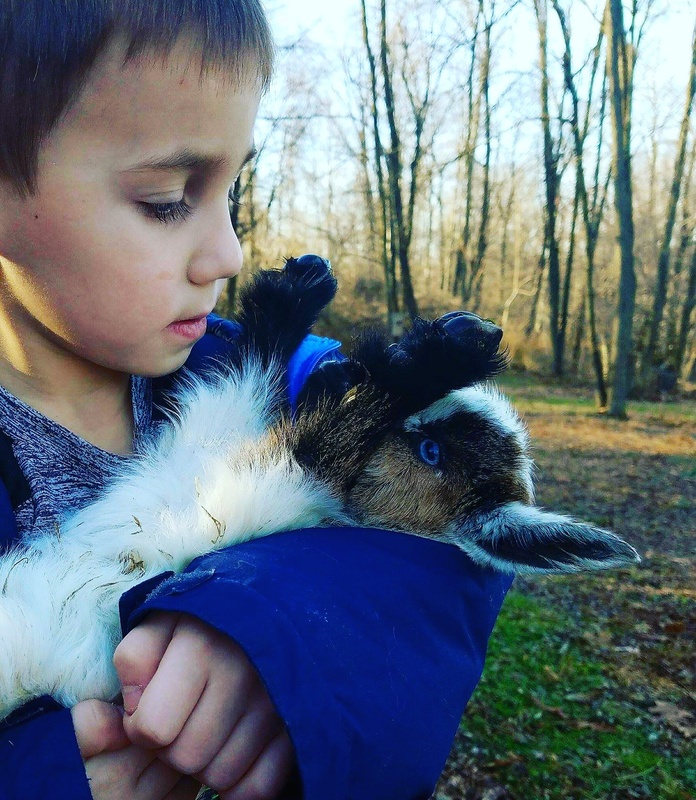 Goats and kids go together better than peanut butter and jelly. Seriously, who can resist the playful personality of Nubs? (Our dark wether.) Nina is a bit stand offish, but still allows the (human) kids to hug her and brush her. 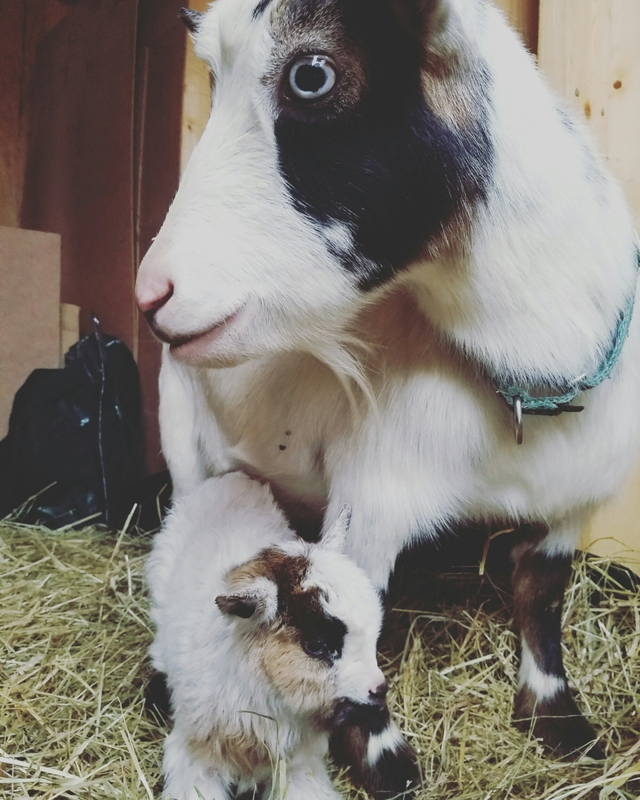 These two are both pygmy goats, so their small size also makes them easily handled by children.